← Merry Christmas from Grass Pants! According to a very brief search, grass is indeed flora. And even if it’s not, I like that title too much to change. So yeah! Grass Pants is officially two years old; I’ll be honest, I never saw it comin’. I know this year wasn’t the best year (particularly in the Fall), so I apologize for that. I hope to pick up the slack next year, but I can’t promise anything. We can hope, though. Anyway, I figured – since there’s a week between now and 2013 – I’d do somethin’ a lil’ different this time around. This time, we’re doing a ‘year in review’ kind of thing, and considering that it’s probably my most-written topic, we’re starting with League of Legends. So, without further ado, here is my pick for the best (and worst) champion of 2012. 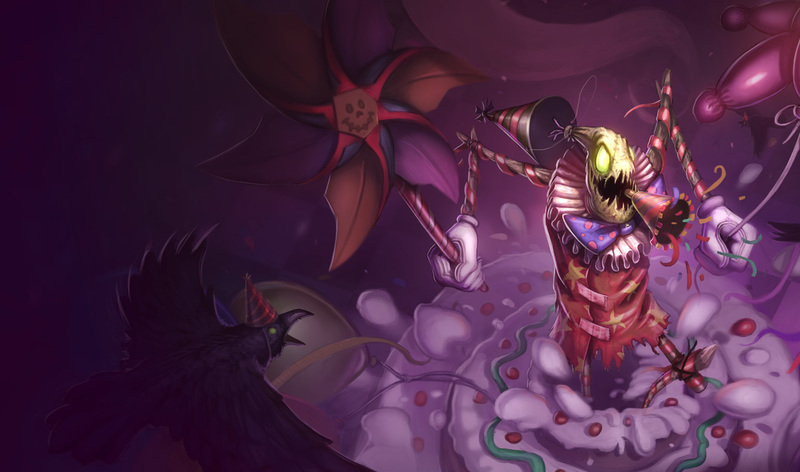 Grass Pants’ pick for the best champion of 2012 is Nautilus, the Titan of the Depths. I honestly don’t think I’ve logged more games with anyone released this year than Nautilus. Everything about him, from his design to his mechanics, is incredibly fun. Whether in the jungle or as support, Nautilus is a complete beast. Bringing four types of crowd-control to the game means if Nautilus wants someone dead, they are going to die. You feel like an unstoppable force of nature, and for good reason. The recent Season Three update has also made jungling with him noticeably faster (either that or I suddenly became good at it) and brought a lot of really cool support-type items for him to play with. Because of his design, mechanics, and having the best joke in the game, Nautilus is Grass Pants’ pick for Best Champion of 2012. It saddens me to only be able to pick one champion, because there were a lot of great ones. As such, honorable mentions go to Jayce, Lulu, and Kha’Zix (mostly for his interaction with Rengar). Unfortunately, for every Nautilus released, there’s a bunch of people who fail to really engage me. There were some cool mechanics, but a lot of these came toward the middle or end of the year, so some other champions got… not-so-amazing kits. But just because a kit isn’t all that fun doesn’t mean it’s bad; no, to be the worst champion of the year, you have to be some kind of anti-Nautilus, if you will. I’m not entirely proud to admit that Grass Pants’ Worst Champion of 2012 goes to Sejuani, the Winter’s Wrath. Unlike Nautilus, who felt so well-done and and whole in every aspect, Sejuani is… weird. Her mechanics are boring – and made worse with Season Three changes – and don’t really contribute all that much. She’s just a big ball of HP who can slow people. Her Q (Arctic Assault) and Ultimate (Glacial Prison) are incredibly fun, but everything else about her is lacking. Her passive is boring (10% slow on autoattacks) and is, essentially, a worse version of her Q. Also, look at her design! I get that she’s this badass warrior chick who can withstand extreme cold but… Really? A battle-bikini in a snowstorm is what you went with? Even IronStylus, the Senior Concept Artist at Riot questions the decision. Anyway, those are my personal picks for League of Legends’ best and worst releases of 2012. If you’re wondering who else was up for ‘Worst Champion,’ that’d be Hecarim. It’s mostly the fact that his kit is just so damn boring; the fact that his design is solid and that Sejuani’s is all over the place is what sealed the deal. Anyway, thanks for sticking around for two years. Again, I never thought I’d be around this long and I never thought I’d meet the awesome people that I’ve met while doing this. It wouldn’t be possible without you fine folks. I’ll be back tomorrow with Day Two of the Grass Pants 2012 Retrospective where I look at the best and worst things I’ve written for you fine folks. As always, thanks for reading and have a good’un. This entry was posted in League of Legends, Video Games and tagged 2012 retrospective, league of legends, league of legends best champion 2012, league of legends worst champion 2012, nautilus, sejuani, two-year anniversary, year in review. Bookmark the permalink.